Wader Quest: Stop Press: Sensational Slimbridge Spoony Scoop! Stop Press: Sensational Slimbridge Spoony Scoop! Well, news like this deserves a dramatic headline in the best traditions of reporting. 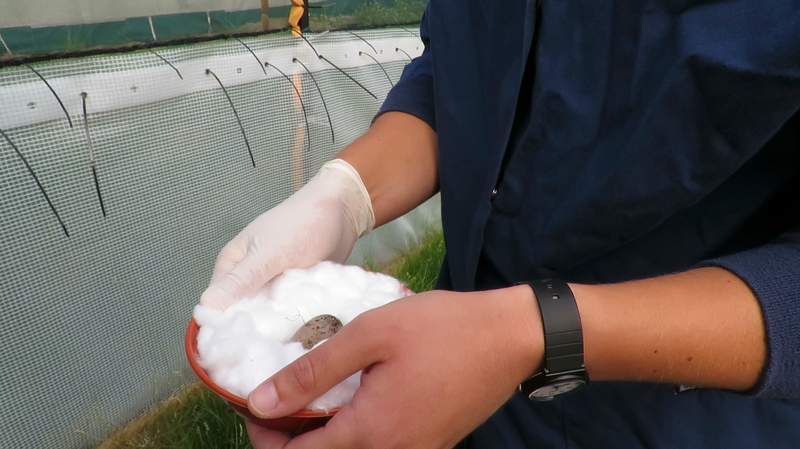 The big news is that this season the Slimbridge WWT Wetland Centre Spoon-billed Sandpiper Captive Breeding Programme has seen its first eggs, the first ever Spoon-billed Sandpiper eggs laid in captivity. This is an historical moment in the battle to save this species from extinction. There is still a long way to go and many hurdles to cross, but at last there is a glimmer of hope that this species can be saved from extinction, if not in the wild, then perhaps in captivity; Martha's lesson learned. We at Wader Quest are especially thrilled to hear the news as it is fair to say that Wader Quest exists due to these birds at Slimbridge. If Elis and I had not set off around the world in search of waders to raise money for the Captive Breeding Programme, then Wader Quest would not now exist. The Spoon-billed Sandpiper may not feature in our logo anymore, but it is still most firmly in our hearts. 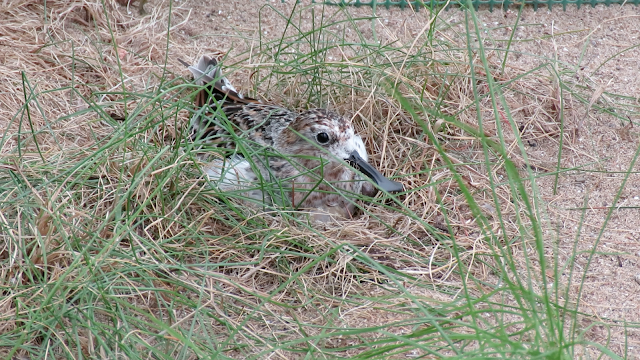 “Saving the Spoon-billed Sandpiper has brought the international conservation community together to work as one. It has been really remarkable and as a result we’ve made huge strides in a very short time. The illegal trapping and hunting has been reduced at several hotspots along their flyway. The authorities in China are seriously listening to our case for protecting the remaining wetlands along their coastline. 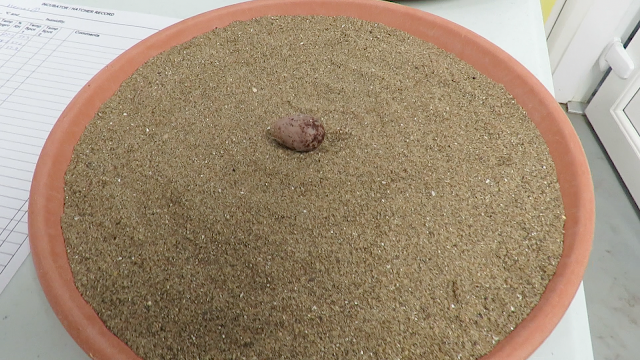 And we’ve developed and made an incredible success of techniques to headstart wild chicks on the breeding grounds. These precious eggs, seven in all at the moment, will be put into incubators to give them the best possible chance of hatching. It seems harsh to take them from the parents, but when the survival of the species is at stake their individual loss may well be the species' gain. Well done to the tenacious and dedicated Spoon-billed Sandpiper captive breeding team and of course to the heroes of the hour, the Spoonies themselves.